Alexandriah Stahr created the Chemtrail Protection Star Team Program to transmit positive energies to override and neutralize the negative frequencies in the Chemtrail Poisons. This is a form of bio-energy medicine which normally requires a computer to transmit. Alexandriah Stahr does not need a computer to provide these positive energies to you and your family. 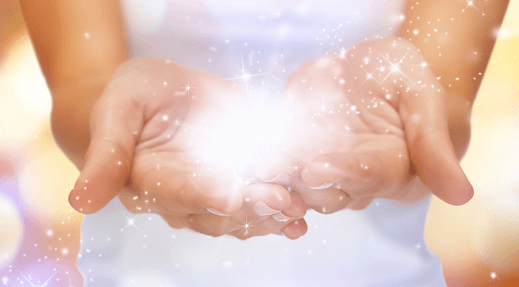 She has been blessed with this as one of the many Christed Energies she channels from the Ashtar Command to assist her with her many healing programs that she has offered over the last 30 years. After 4 years of only offering her Chemtrail Protection Star Team Program to her regular Karma Clearing – MATRIX Clearing Clients, Alexandriah Stahr is now offering her Chemtrail Protection Star Team to others who are interested in Holistic Health and Energy Medicine and who can recognize the potential for an energetic solution to protect yourself and your family against the symptoms of Chemtrail Poisoning. The Chemtrail Protection Star Team Program is a one of a kind energetic program which neutralizes the negative frequencies contained within Chemtrails so most short term symptoms of Chemtrail Poisoning will go away in just a day or two. Relief of long term effects may vary. It can be sent to you, your family members, pets and your property to neutralize the negative frequencies contained within the Chemtrails. How does it work? You simply sign up for a subscription to the Chemtrail Protection Star Team Program and the Christed Energies will protect all those included in the Chemtrail Protection Star Team Program from experiencing Chemtrail Symptoms. It does not clear the Chemtrails in the sky, you simply become immune to the symptoms caused by the Chemtrail Poisoning. To learn more about how the Chemtrail Protection Star Team Program can help you and your family, schedule the First Time Caller Consultation with Alexandriah Stahr and request the First Time Caller Special.